MI CASA is a temporary installation developed in collaboration with migrants of South London. The exhibition explores how they recall and imagine ‘home’. Through drawing and embroidery workshops I collected stories and material to create the final piece, a ‘Story-Houses’ structure, glowing as internal lighting illuminates vividly embroidered walls. Inside the ‘Story-House’, visitors discover a migrant’s story told through recorded audio and intricate thread drawings of treasured places, people and objects. MI CASA invites visitors to experience a Latin American landscape of memory, showcasing the experiences of a community long under-represented in south London’s cultural fabric. This installation was selected to be part at TATE Exchange in TATE Modern, Art Night London 2018 and CU Exhibition at Lethaby Gallery in Central Saint Martins as part of the London Design Festival 2018. The project is on-going. 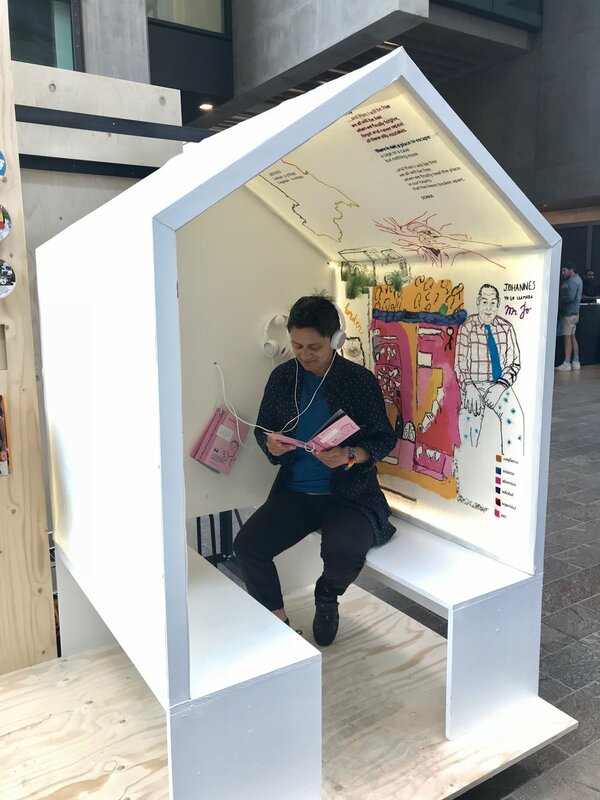 Mi Casa was part of Tate Exchange, in a week named ‘Southwark Untold’ , powering the voice of people in South London through installations and community workshops. Migration map showing movements of people coming to London - showcasing its incredible diversity! This project was my major project for my Masters Degree at Central Saint Martins, highlighting the relevance of telling stories in space. 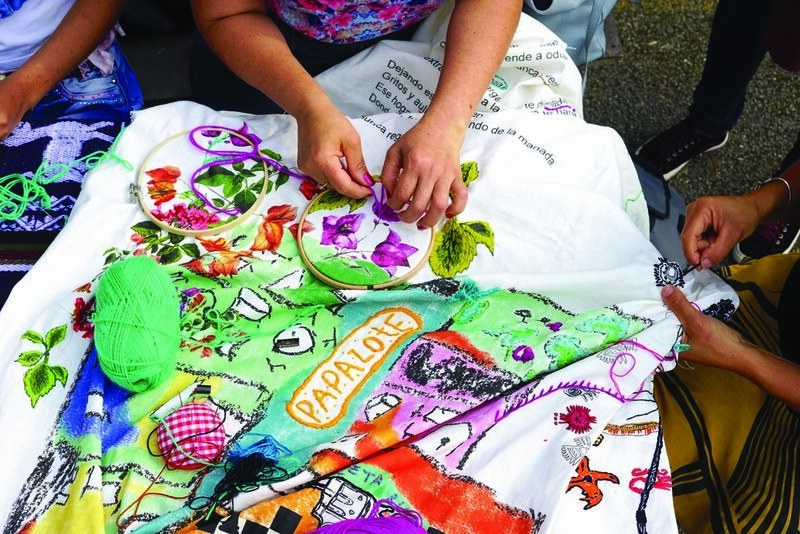 Mi Casa was part of Art Night London 2018 at The Workshop, community space in Lambeth. Art Night London is a cultural festival that offers multiple art works during one night. Mi Casa was part of the Outreach and Participation project. Migration Museum embroidery workshop, mother and daughter sharing stories of home!